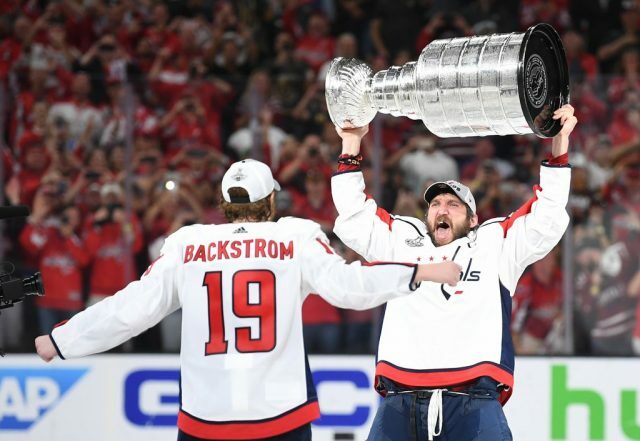 The Washington Capitals won their first ever Stanley Cup after defeating the Vegas Golden Knights 4-3 in Game 5 of the NHL’s Stanley Cup Finals on Thursday in Las Vegas. Ovechkin was awarded the Conn Smythe Trophy as the Most Valuable Player of the playoffs after leading all players with 15 goals and setting a Capitals postseason goals record. Nate Schmidt, David Perron and Reilly Smith scored for the Golden Knights and Marc-Andre Fleury** had 29 saves for the team, who reached the finals in their first season as an expansion team. **Golden Knights goalie Marc-Andre Fleury was nominated for the United States Sports Academy’s May Athlete of the Month honor. Vote for him here.